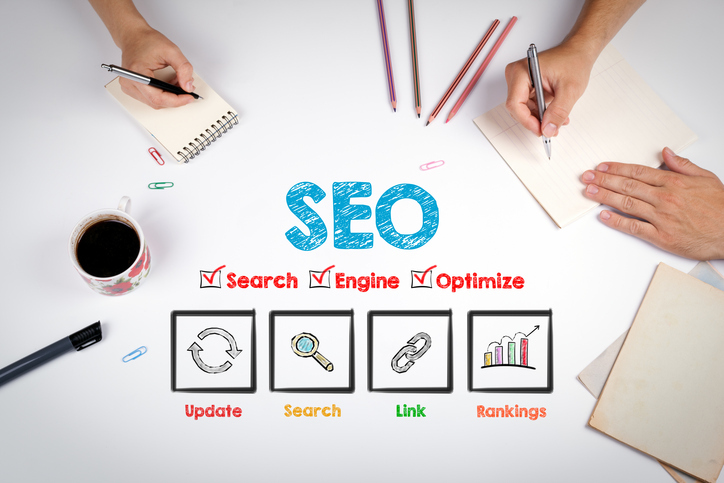 Search engine optimization (SEO) is the process of optimizing your firm’s website and online presence so that search engines like Google and Bing rank your website higher on their results pages. Organically growing your website’s ranking is a slow process, but consistently working to improve your firm’s ranking in search results will drive more traffic to your website and increase your opportunities to get more clients. To get started, check out these five tips on how to improve your firm’s SEO. Asking clients to review your business on Google, Bing, or Facebook is one of the most effective strategies for improving SEO. When a law firm has more legitimate five-star reviews than its competitors, Google and other search engines recognize it as a leader in both its geographic location and practice area and thus rank it higher than law firms without reviews. We all know reviews are important to potential clients because it helps them understand more about the quality of your services, but for SEO purposes, having consistent increases in five-star reviews is also extremely valuable in the eyes of the bots crawling your website. A consistent social media presence helps your firm on several fronts. Increasing your followers and engagement on platforms like Facebook and Twitter will not only strengthen brand recognition and keep your firm name front of mind, but it is also linked to improved ranking on search engines. Make social media a priority, but understand that it is just one piece of an effective overall SEO strategy. Don’t share articles and comments just to check the box each week or month, but rather focus on increasing followers, page likes, and engagement to get the most from your activities. The location of your practice should be included in all SEO marketing. Most clients will come from your firm’s immediate geographic area, therefore setting up and verifying your firm’s Google business page is integral to your local success. Go to Google My Business to set up your business page, and after registering, you will be sent a postcard with a verification code to complete the process. As soon as your page is verified, your law firm will be eligible to appear in the localized maps searches that Google includes with search results. Make sure your N.A.P. (name, address, and phone) is consistent across your website and any other websites that contain information about your firm. Use a service like Moz Local to ensure search engine bots are gathering the correct information about your business, giving you a better chance to rank in your area. Many potential clients will use those blurbs to decide whether to visit the firm’s website. Be concise, try to stay under 200 characters, and use your meta description to explain why your firm stands out from the hundreds of other results the potential client is seeing. In the SEO world, link building is the process of getting your company’s website referenced on another website. Links are a signal to search engines that your website has substantive and useful content, so the more external links you have, the higher your ranking will be. Legal directories are a great start, but it’s important to also earn links by creating content so compelling that others want to share it. Good links are not easy to get, which is why they are so prized by search engine algorithms. If a website with a high domain authority, such asThe Wall Street Journal,finds that your content is valuable enough to share with its visitors, you’ll most likely see a boost in rankings. SEO takes time, focus, and consistency, but it is vital to establishing your firm at the top of search results when people need your services. At Client Chat Live, we work with some great SEO agencies that help law firms, and we will be happy to refer you to some we trust. Feel free to reach out by sending us an email or giving us a call at 808-495-0932.